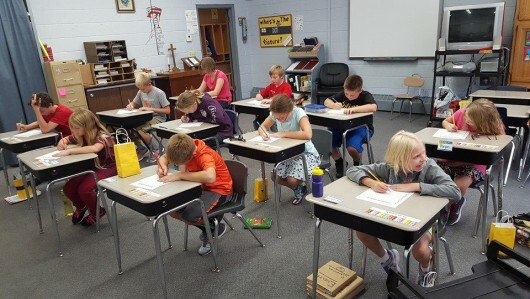 Trinity Lutheran School is to be the presence of Christ through education by equipping disciples for life. 1. To create a spiritual feeling of Christian love, understanding, and concern within the child. 2. To proclaim Jesus Christ, the Lord of the Church and the Savior of man. 3. To present the Christian faith as God’s greatest provision for man’s deepest needs, both temporal and eternal. 4. To arouse children to greater faithfulness and devotion. 5. To offer Christian fellowship and training for Christian living so that the child will be a disciple for life in his family, community, state, and nation. 6. To help the child develop his talent to the fullest capacity in conformity with the will of God and his neighbor to the best of his ability. 7. To teach the following beliefs of the Lutheran Church- Missouri Synod to lead the children to become consecrated and loyal communicant members of the Christian church.